Auto-Diesel Piston Co. was founded in 1921 by Roland Smith and Albert Sawyer to manufacture parts for the automotive industry. Today, the Company continues to operate and grow as a family-run business. We manufacture cast iron rings from 1″ to 30″ and stainless steel plunger rings from 3/4″ to 7″. All cast iron rings are manuractured-to-order to our customer’s specifications. The most popular sizes of stainless steel rings are stocked for immediate delivery. SERVICE and QUALITY are two of our main objectives. All piston rings are manufactured with precision to meet industry standards. 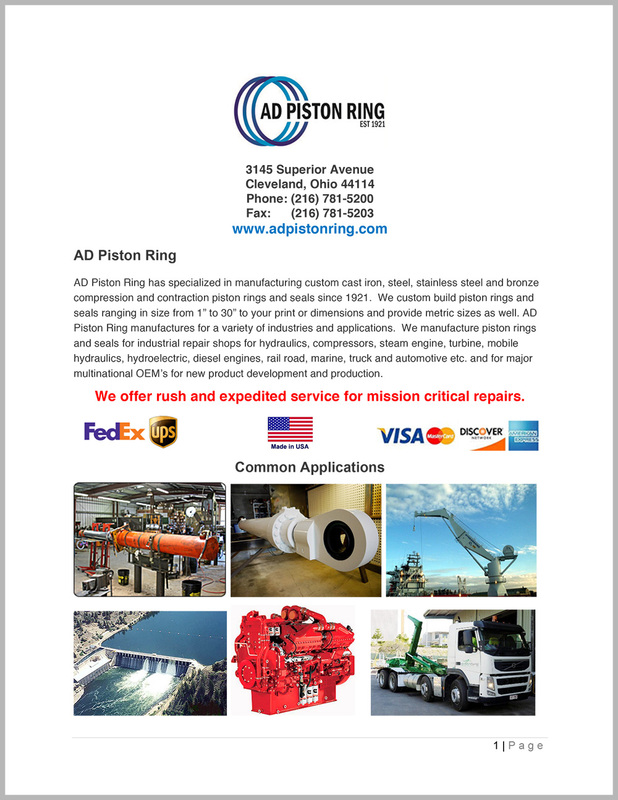 Click here for more information about AD Piston Ring.